The game rules blackjack are in principle very easy to learn, because the basis lies in knowing the value of the cards and the goal of the game. You can play blackjack online, mobile or in the live casino with a real dealer. Free play is an option and certainly advisable if you want to discover this card game for the first time, but also interesting to develop and apply strategies without risk. However, it is more fun if you know the rules of blackjack for money to gamble in the online casino or live casino. Then it really matters and that obviously increases the tension of the game. Fetching 21 points is the absolute goal of the game, but the main point is that as a player you have at least a higher number of points than the bank with his hand. When you exceed 21 points, it is immediately over and out and you have lost and with a lower number you have to wait and see what the value of the cards the bank has. In the case of live blackjack , there are other players at the gaming table and that is not the case with online blackjack. There is also a real dealer present. However, it does not matter for the game, because you always play your game individually against the dealer. All cards have their own value with the exception of the ace which is worth 1 or 11 points and the picture cards which each have 10 points as a value. You will first be dealt a card with online blackjack at the Oranje Casino and then the bank. You then get a card and decide on the two cards whether you fit or not. You may have blackjack with a ten and an ace. Then you do not have to make a decision to continue playing or not. You may also be dealt double cards, such as a woman twice. You may split and continue with each set of cards, but you do not have to. 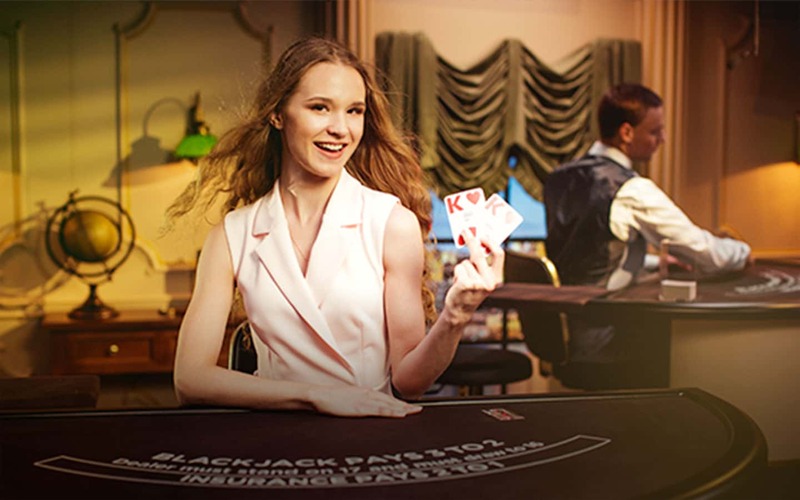 There are a number of other functions in online blackjack, such as doubling and insurance. You can choose to double, where you double the bet, if the first two cards have a value of 8, 9, 10 or 11 points. Insurance is possible if the dealer has an ace as the first card. You can then determine whether you want less risk that the bank gets 21 points. The insurance costs half of the original bet. If the dealer gets blackjack then you get the original bet back. If the dealer does not have blackjack, you have lost the insurance money. The dealer must always fit a certain number of points and may, for example, no longer take cards from 17 points. In addition, the dealer must take a card until the number of 16 points has been reached and may not already fit with 12 points. As a player you have the choice to match a low number of points or to take cards until you have enough points or over 21 points.